I couldn't post last challenge. Theme was South Amercia which is a tough theme, I couldnt get enough time to research and do it due to busy weekend but i am gonna do it maybe in between the challenge or once the challenge is over. Anyway, my home internet isnt working and i am writing this post offline. I am not a big fan of surfing web on phones,so i wish the internet connection get fix asap. Today's theme is "Artwork Featuring Favorite Brand". I dont have one favorite brand. 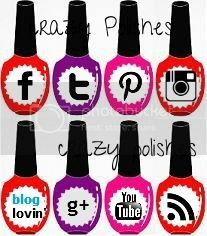 I like some polishes from a brand, some from other brands. OPI is one of the brand i think everybody loves and it seems like texture is not gonna off trend any soon, so I am doing a manicure using OPI liquid sand nail polish. OPI Wharf! Wharf! Wharf! 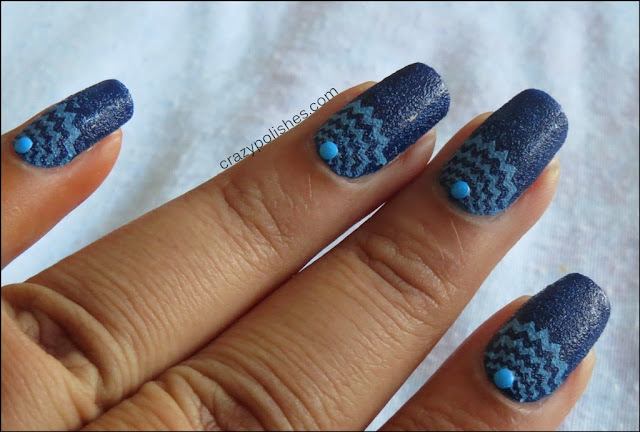 is a navy blue texture polish. 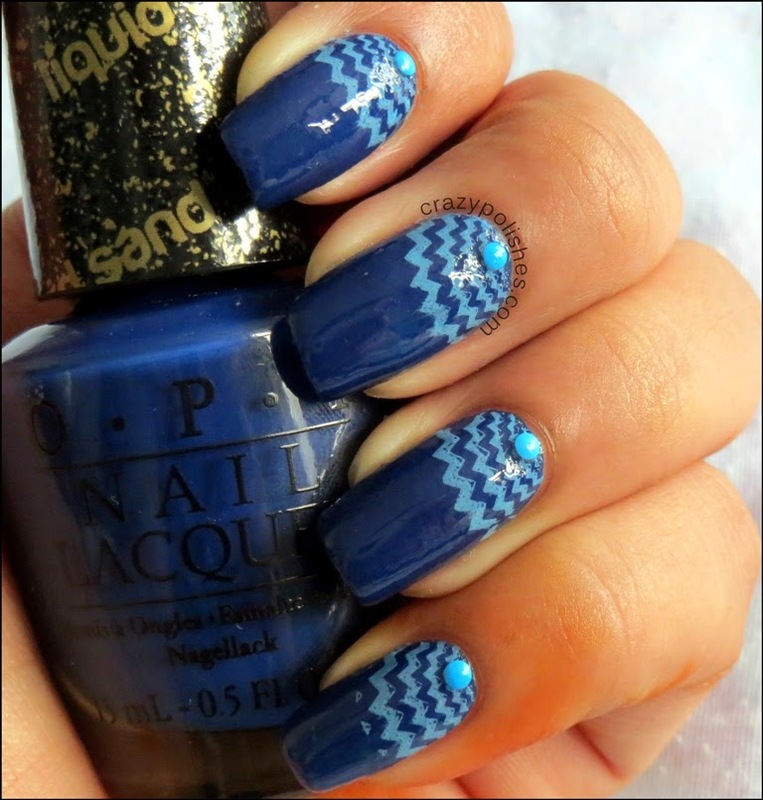 This polish is a part of OPI San Fransisco collection which was launched for autumn. The color is very pretty and the formula is excellent. It requires two coat for opacity and drying time is descent. I did a stamping nail art over it. base- opi wharf! wharf! wharf! 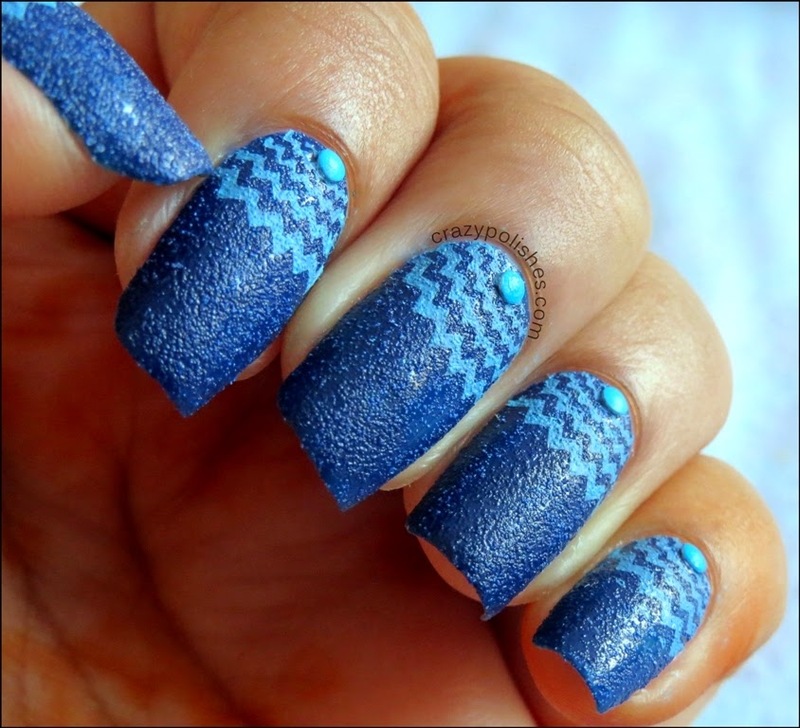 Here is a with topcoat image of this manicure. 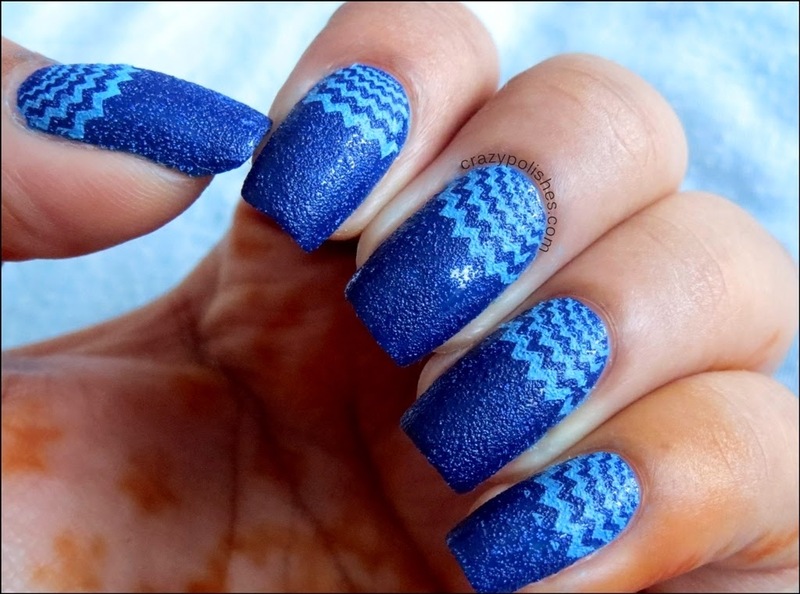 I hope you like this manicure. Please see what other British bloggers posting today as well as other lovely girls from this challenge created for today's theme. Labels: 33 Days Challenge 2013, 33DC17, born pretty Store, half moon, neon studs, OPI, review, textured nail polish, wharf! wharf! wharf!